Enter the wild jungle and live life as a Tiger! 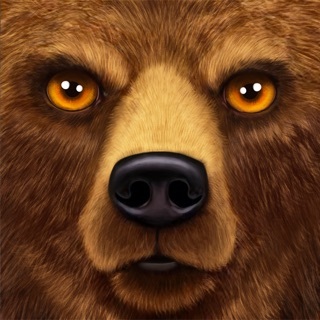 Explore a massive world filled with dangerous animals and crafty critters. 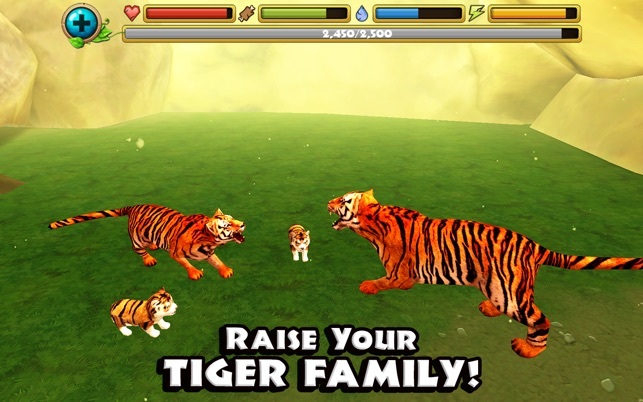 Raise baby tiger cubs, stalk prey through grassy plains, and battle for your life against fierce predators like jaguars, rhinos, and elephants! 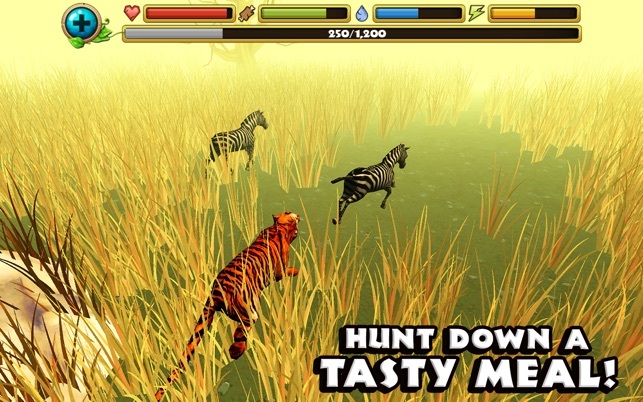 Download the Tiger Simulator today while it's 50% OFF for a very limited time! + REALISTIC SIMULATOR - You'll need to maintain your health, hunger, thirst, and energy if you're going to survive in a hostile jungle! 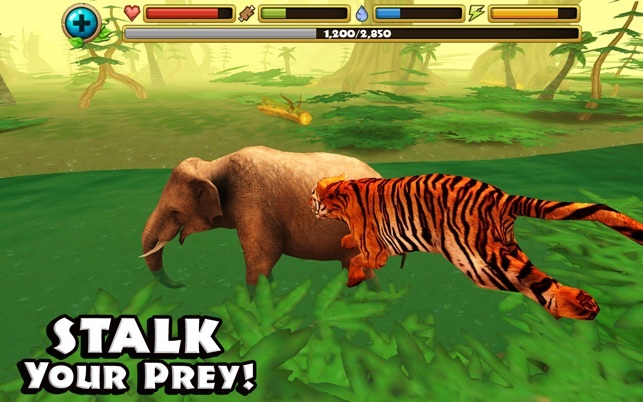 + EPIC BATTLES - Use your powerful bite, razor sharp claws, and swift speed to catch a tasty snack or fight dangerous beasts! 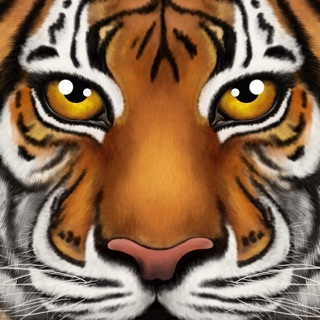 + START A TIGER FAMILY - Find a mate to bond with and raise your very own family of tigers in your hidden jungle hideout! 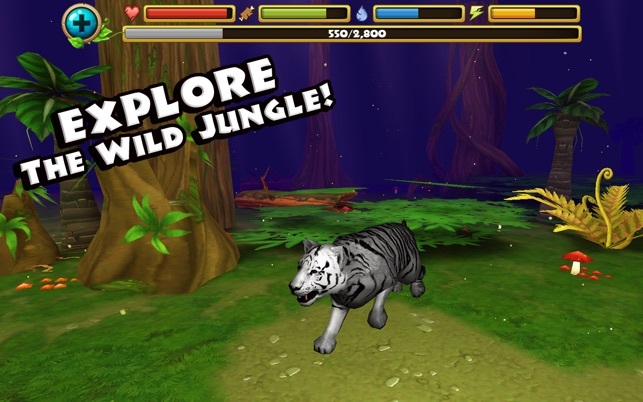 + LEVEL UP YOUR TIGER - Gain experience by defeating other animals and level up to increase your health, attack damage, and even unlock new tiger furs! + TIGER SURVIVAL GUIDE - Look to your handy survival guide for information on enemy wildlife, a map of the jungle, tiger customizations, and much more! + HUGE 3D ENVIRONMENT - Your tiger is free to explore a massive open-world jungle filled with dangerous carnivores, lush greenery, and sparkling water! + HD GRAPHICS - Stunning High Definition graphics will transport you to a dense jungle and surround you with nature's vibrant beauty! + GLUTEN-FREE PROMISE - With all of our games you will always get the full game with no ads or additional purchases! 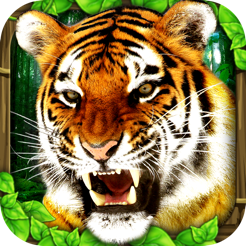 Download the Tiger Simulator and experience the thrilling life of a ferocious Bengal Tiger in the wild jungle! 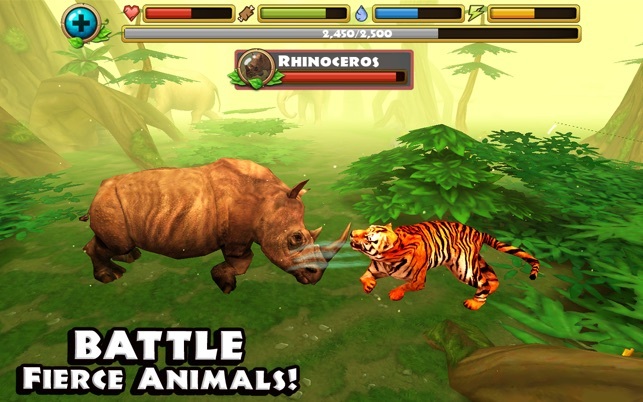 If you liked living as a Tiger then you'll love our other animal simulators! Download Jurassic World: Tyrannosaurus Rex Simulator to travel to a lost land of dinosaurs or check out the Wildlife Simulator: Wolf and start your very own Wolfpack! 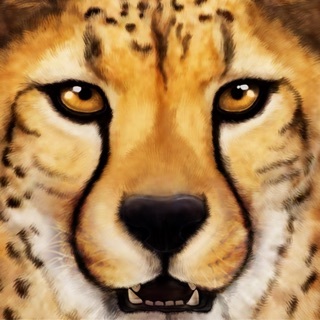 Follow us on Facebook for more awesome animal games and simulators! Follow us on Twitter too! We love hearing feedback and suggestions! © 2014 Gluten Free Games LLC. All rights reserved.